Posting this just in time to, well, either make you feel smug or feel annoyed that you only got a regular ole frozen organic turkey. Amalah shares her experience buying her turkey directly from the farm in MD. And by direct from the farm, I mean pointing at a currently living turkey in a very Julius Caesar bring-me-the-head-of-that-one-it-displeases-me kind of way and having it sent to The Barn. Doesn’t get fresher than that! Gobble gobble! amalah . com: Turkey Run. Rosemary-Blueberry Soup: Would You Could You In a Bowl? Here at Capital Spice HQ, we like to wade knee-deep in the season’s bounty and use it to guide or recipes. Mint growing out of control? Oh tragedy, looks like mojitos are on deck. Have a case of the basil overload? Sounds like the perfect excuse to go crazy with caprese and pesto. And I don’t need any recipe to tell me how to eat cherries, which are perfect just the way nature delivers them. When Mike’s parents drove down from New Jersey this week, we knew we had another summer harvest in spades: fresh blueberries. Much like pinkie rings and fist-pumping, you just don’t F around with New Jersey when it comes to blueberries. Once these little antioxidant bombs come into season, those in the know hightail it to pick-your-own farms where thimble-sized berries can be had for a song. 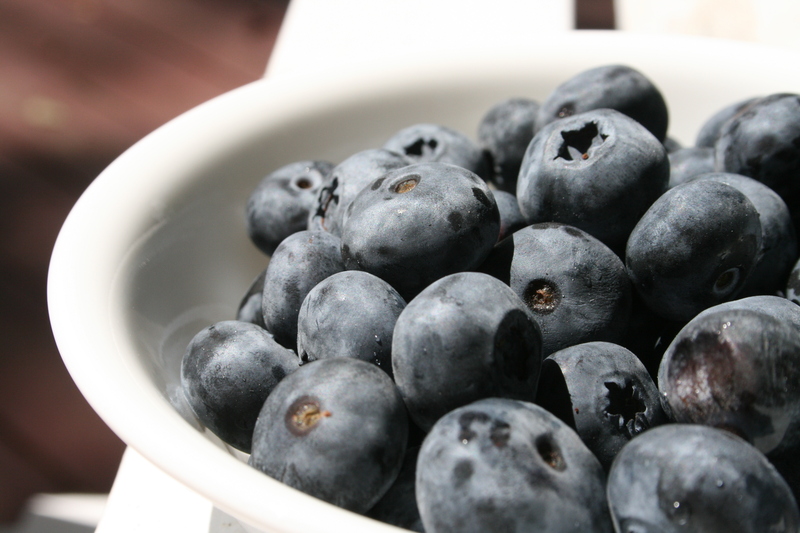 We knew immediately that a bounty of Jersey blueberries were headed for our front door. But what to do with the plethora? 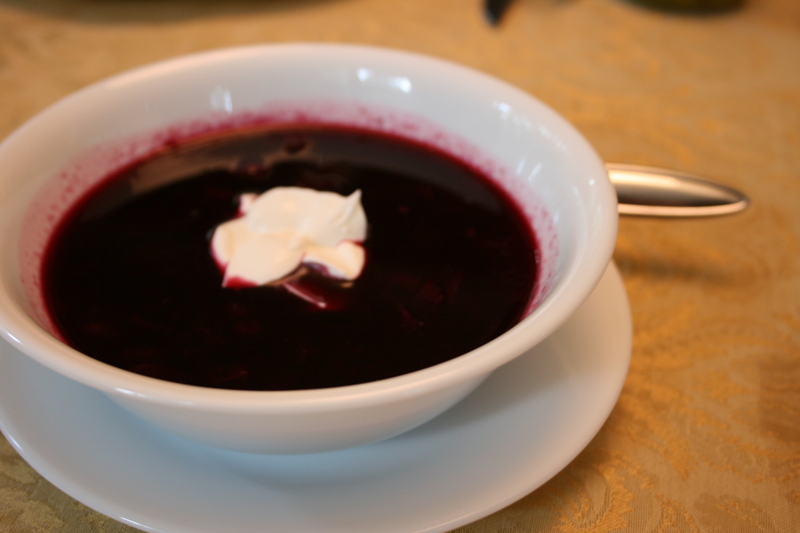 Blueberry soup is perhaps not the first thing I’d think of when considering a blueberry-based recipe. I don’t know that it would even make the top ten (although 6 out of those ten would probably be variations on some kind of cocktail, so that list is pretty skewed). 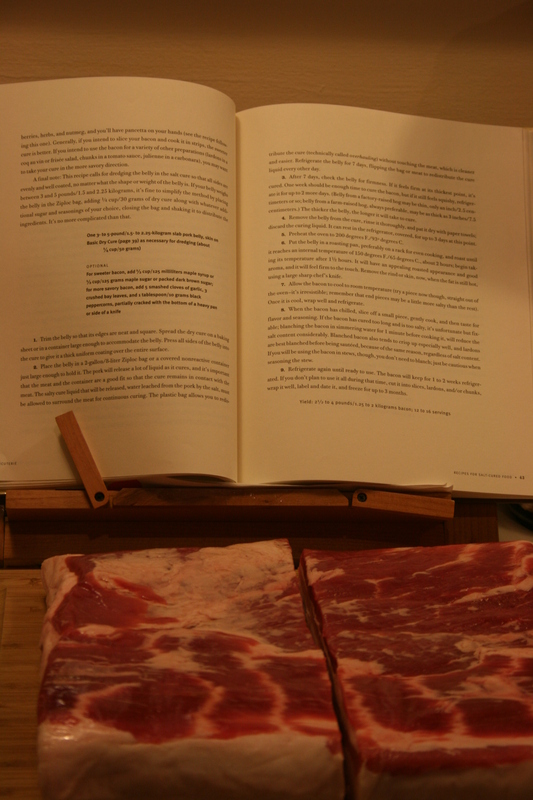 Mike and I came across the recipe when thumbing through From the Earth to the Table, one of our never-fail cookbooks. It looked healthy and easy – critical criteria for us these days. We were intrigued. Commonly found in the cuisine of those strapping Scandinavians (or, Scandi Candy), fruit-based soups provide a light meal in the dead heat of summer. The trick to preparing them is balance. 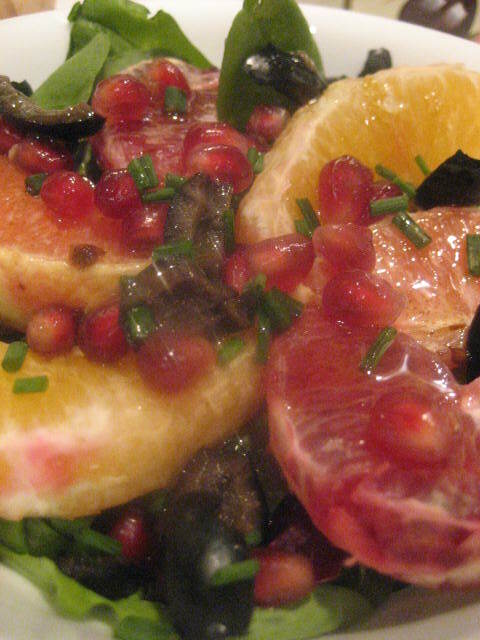 In many cases, the natural sugars from the fruit – especially if the fruit is cooked – can deliver an over the top sweetness more appropriate to dessert. With this soup, the blueberries require some additional sweetness to overcome their natural tart flavors. Chef Ash brings natural sugars with honey to sweeten the berries but keeps the flavors complex with earthy cloves, red wine, cinnamon, and herbs. The original recipe paired the soup with lavender, but Mike’s allergy to the herb led us to rosemary instead. It’s Memorial Day weekend, the official (unofficial?) start to summer. If you’re like us, there’s a pretty good chance you’re going to be grilling and barbecuing more than a few times over the next few months. Of course you know the difference…right? I’ll admit, I had to learn the hard way. 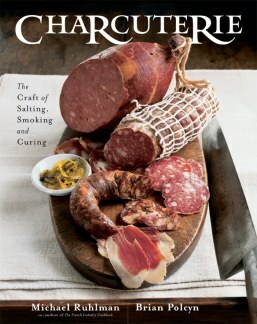 Growing up in New Jersey, I always referred to any situation where meat was being cooked outside as a barbecuing. Burgers, hot dogs, whatever…if it was being cooked over propane or coals, you were barbecuing. But step outside the northeast, and you’re likely to be met with funny looks if you talk about barbecuing a burger. Barbecue is low-and-slow cooking that involves smoke, low temperatures and tough cuts of meat that combine to form something magically delicious. And although you can call any old cookout a barbecue, you can’t call just any cooked meat barbecue. 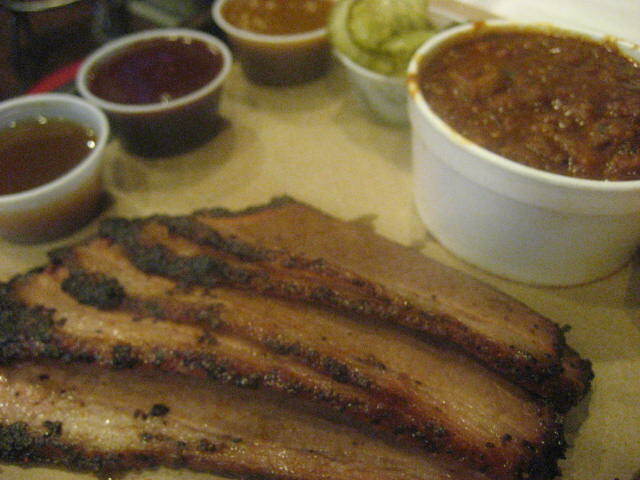 Need more insight into the different styles of barbecue? Check out this video that Tim Carman dug up over at the City Paper. Now that we’ve established the difference between grilling and barbecue, I wanted to share a recipe for homemade barbecue sauce that I used for a community potluck earlier this month. 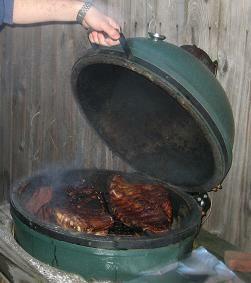 When word got out that I’ve got some experience with barbecue, I was asked to smoke some up for our new neighborhood. So I cooked up forty pounds of pork shoulder in a neighbor’s bullet-style smoker, and I decided to go one step further and cook up my own barbecue sauce to go with it. A while back, I found a barbecue sauce recipe at AmazingRibs.com, a site I’ve used on a couple of occasions as I’ve learned the ins and outs of good homemade ‘cue. I tried it and found it tasty but not quite what I’d grown accustomed to as I’ve tasted my way around Kansas City. There were a few flavors that seemed to be missing, most notably tomato, celery seed and cumin. Snow Cream: Putting DC’s Snowpocalypse to Work for You! Whether you’re calling it Snowpocalypse, Snowmageddon, or just tweeting about it with #snOMG, there’s some no-joke snow coming down outside in Washington. If you’re planning to drive anywhere…don’t. Mike just helped push a cop car out of drifted snow in our alley. We may not be drinking yet, but we did take a walk down to Eastern Market with Capital Spice mascot Murphy. 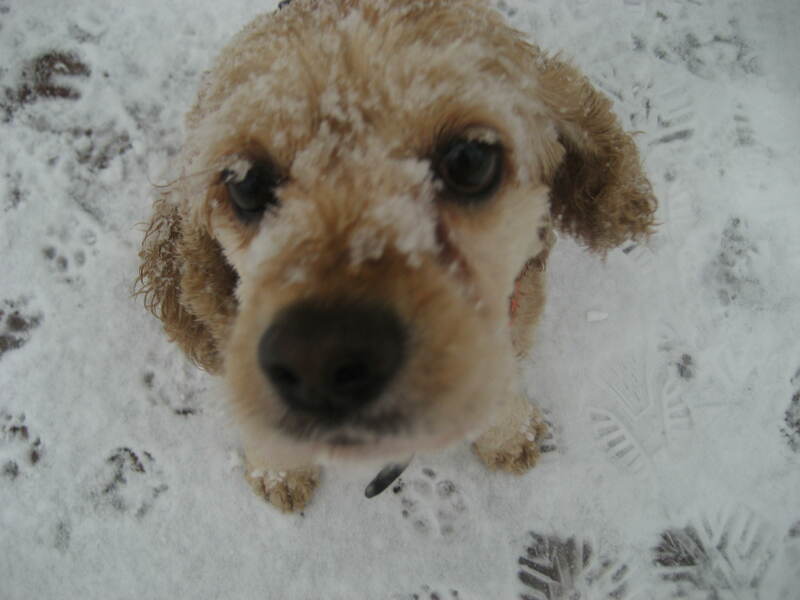 He loves to bound through waist-high snowdrifts, but the accumulation is getting to be a bit much even for him this time around. When we came home, our neighbors had a real treat for us – an old family recipe for something called “Snow Cream.” We’d never heard of snow cream before, but the bowl that was handed to us looked delicious and we were eager to dig in. We took it upstairs and broke out some spoons. 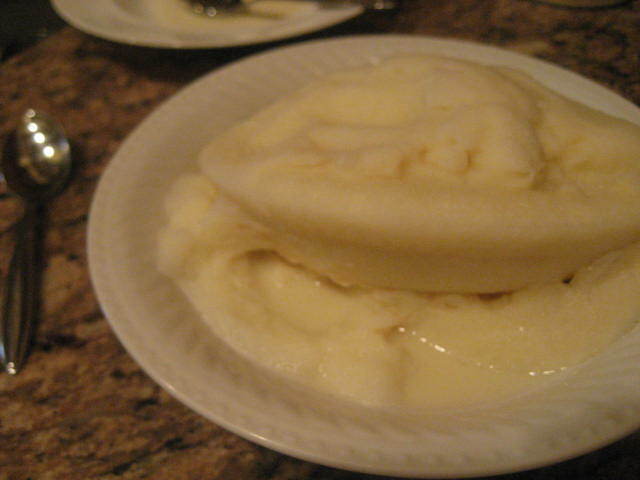 Snow cream, in case you haven’t figured it out yet, is an ice cream-like dessert made from freshly fallen snow. It uses all the old familiar ingredients – milk (or cream), sugar, vanilla and egg. In Broadway Beth’s case, the recipe comes from her Southern great-grandmother, but I’m sure there are families all over the country with their own versions of the treat. According to tradition, you shouldn’t make snow cream from the first snowfall of the year (that’s when all the pollutants come down, dontchaknow?). Thank goodness we had snow last weekend – even if it didn’t amount to anything – because we’ve got plenty of raw materials to work with today! Did you stock up on milk and eggs like everyone else yesterday? 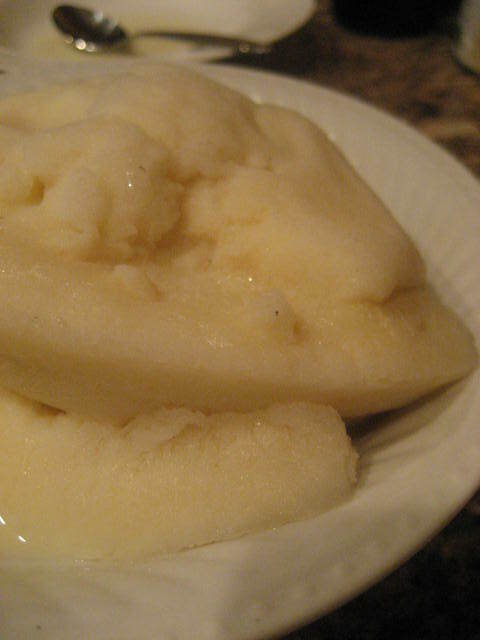 Interested in making some snow cream of your own? It’s actually pretty easy, though the fact that this is an old family recipe means that measurements are largely abandoned in favor of tradition. Once the snow has been falling for a while (check! ), place a large bowl mixing bowl outside and let it collect your base. 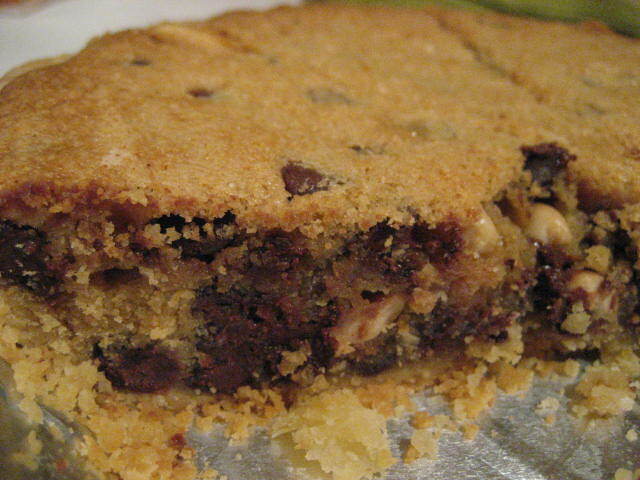 Meanwhile, mix the remaining ingredients together until the sugar is dissolved – do not heat. When you’ve gathered enough snow, bring the bowl back inside and pour the cream mixture over the top. Stir to combine, adding additional milk until you’ve gotten everything to the consistency you’d like. Enjoy right away, or put it in the freezer to firm up a bit. And if you feel compelled to go all foodie on this classic, feel free to jazz it up with any of your typical ice cream blend-ins (we’ll probably hold off on the roquefort and honey for now).